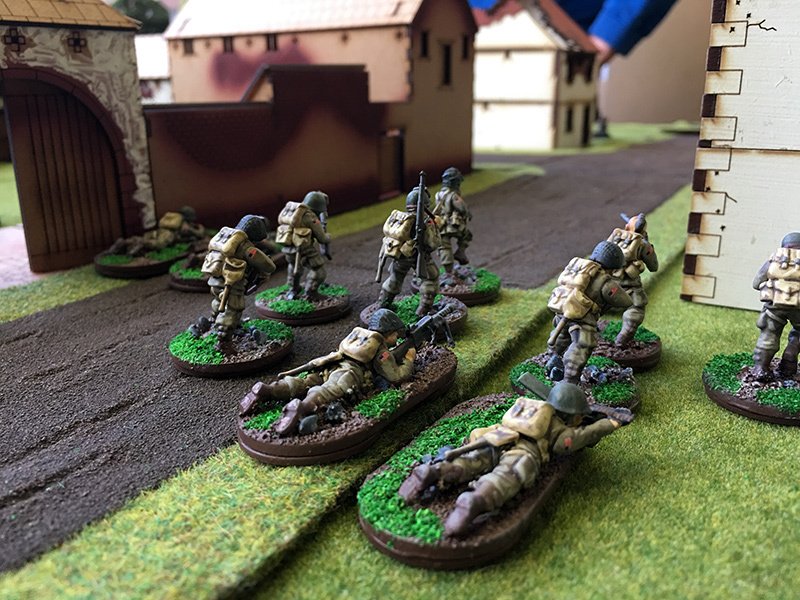 We had our second games day at Lost Ark Games in Stevenage. 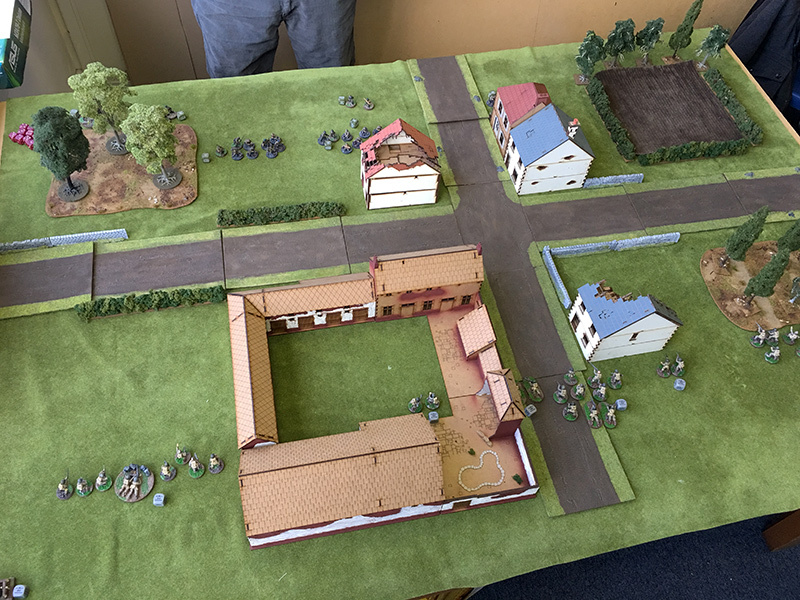 This time I took Mark, my regular opponent at Letchworth Wargames Club, over to the shop for a Sunday spent playing Bolt Action. 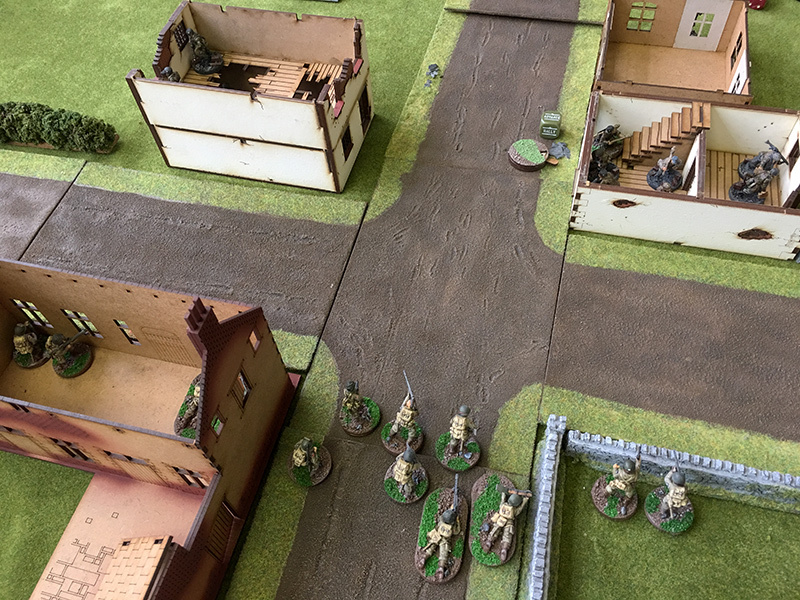 We haven’t played Bolt Action for a few months as we kind of got sidetracked into Wild West stuff, so it took a while to remember how to play. 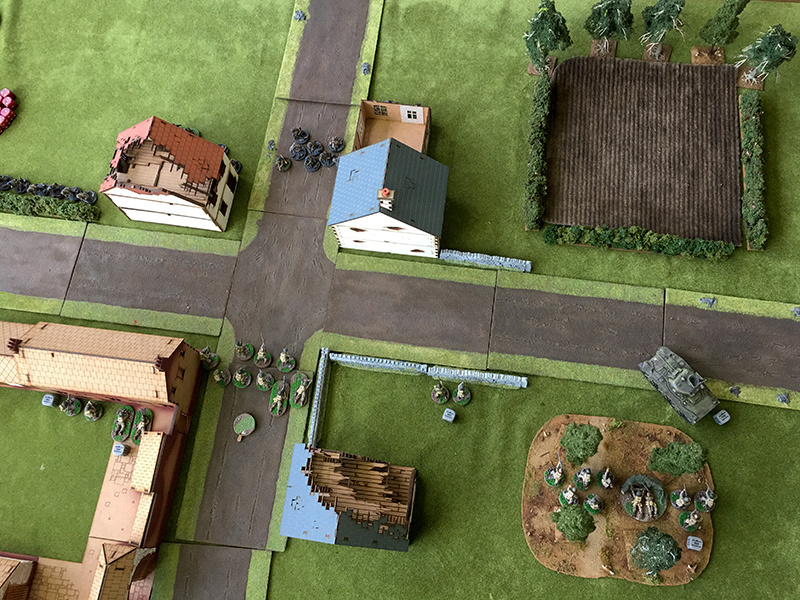 Luckily there were two other games going on so we had several experts to help us with rules. 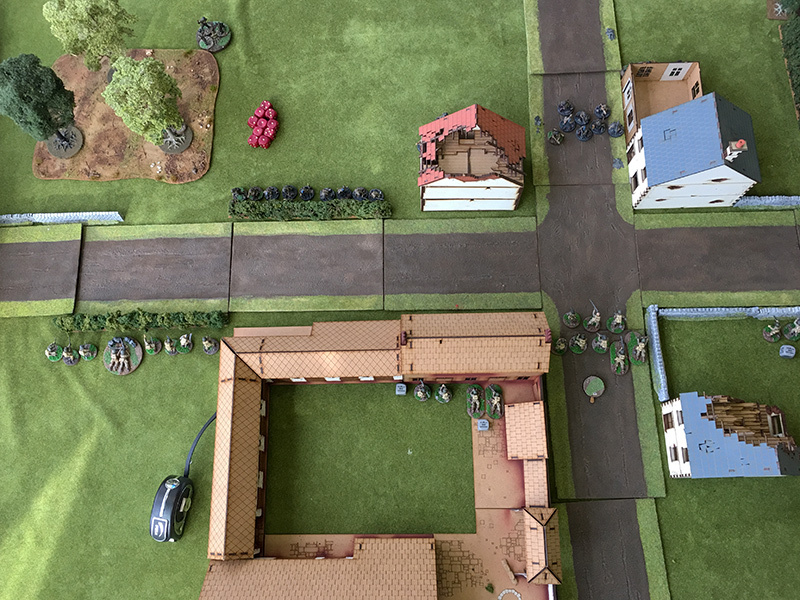 I lent Mark my Fallschirmjager army while I played the US Airborne. 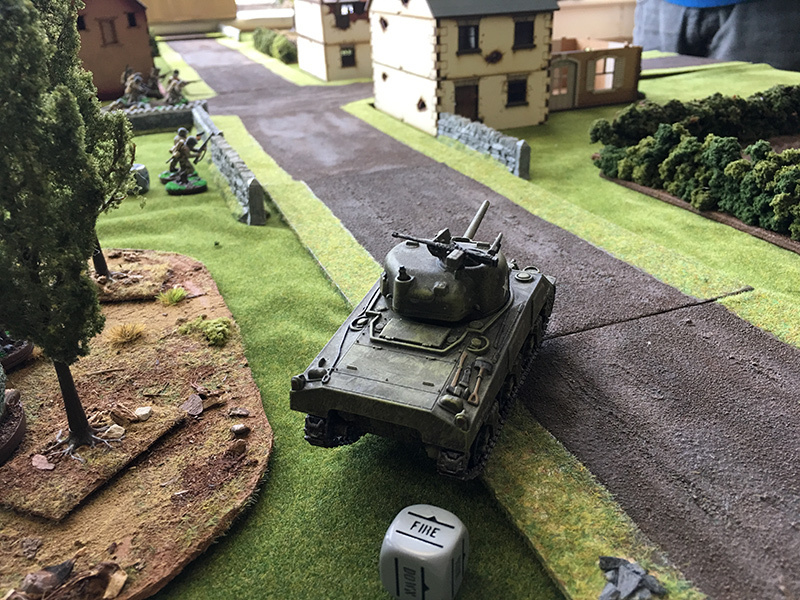 Mark’s specialist units consisted of a sniper, mortar, flamethrower, panzerfaust and heavy machine gun while I had a Sherman, 57mm AT gun, sniper and bazooka team. 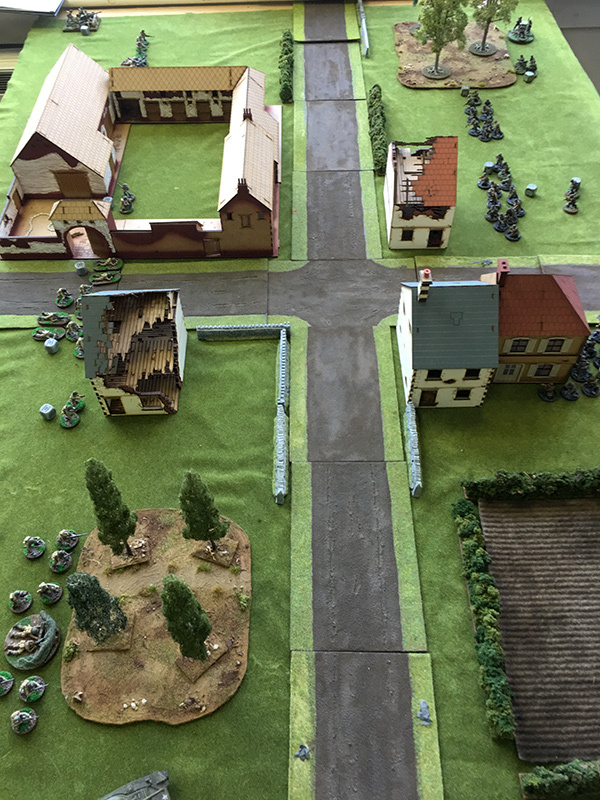 We both advances towards the road which cut the terrain down the middle. 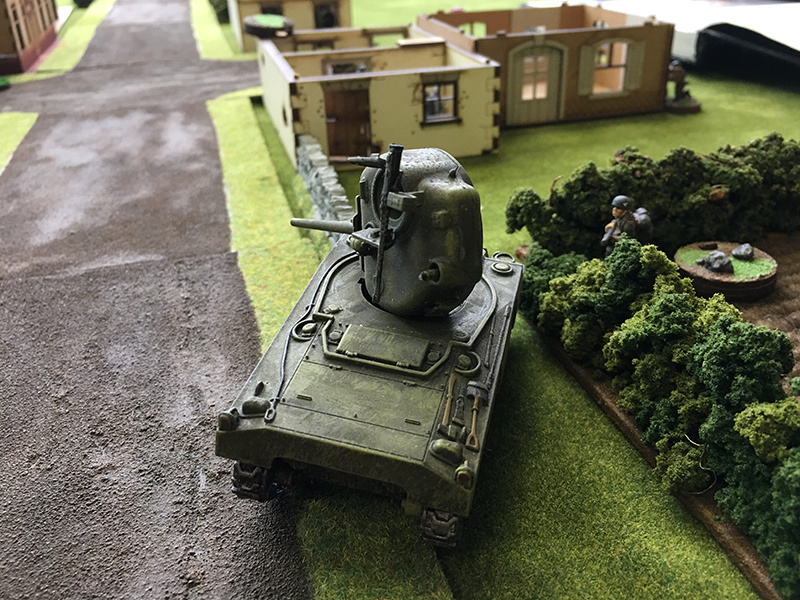 The Sherman took the right flank, far from the German mortar and HMG but the Germans ran their flamethrower and panzerschrek towards it. 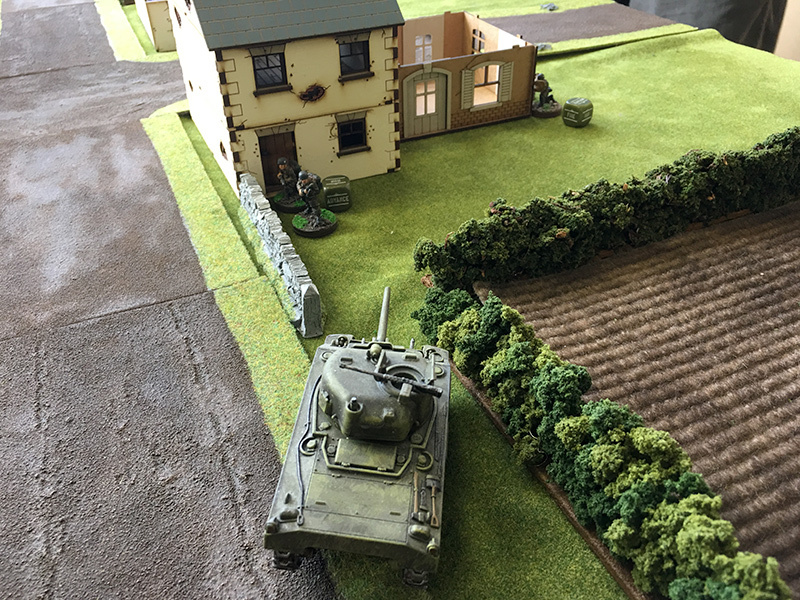 The Sherman managed to take out the German officer inside a house in the rear of the German area but the flamethrower advanced towards the American tank, eventually taking it out after losing his assistant. 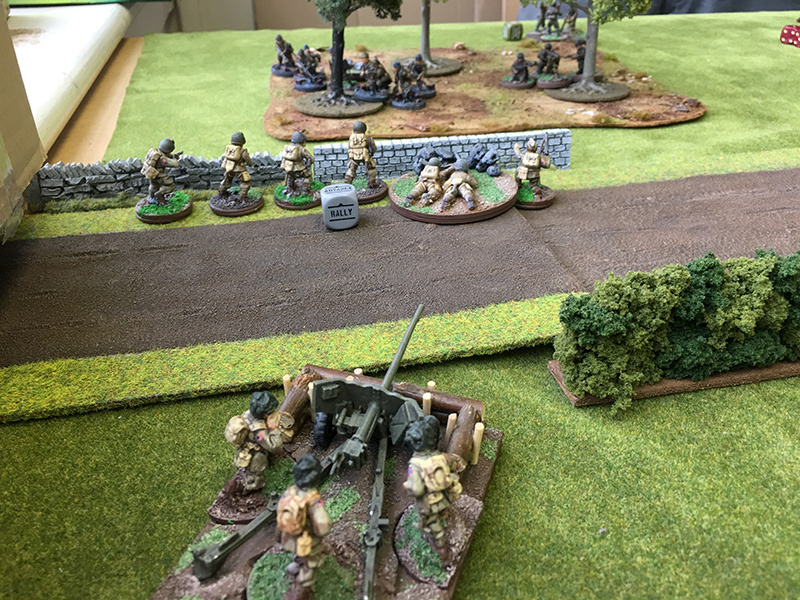 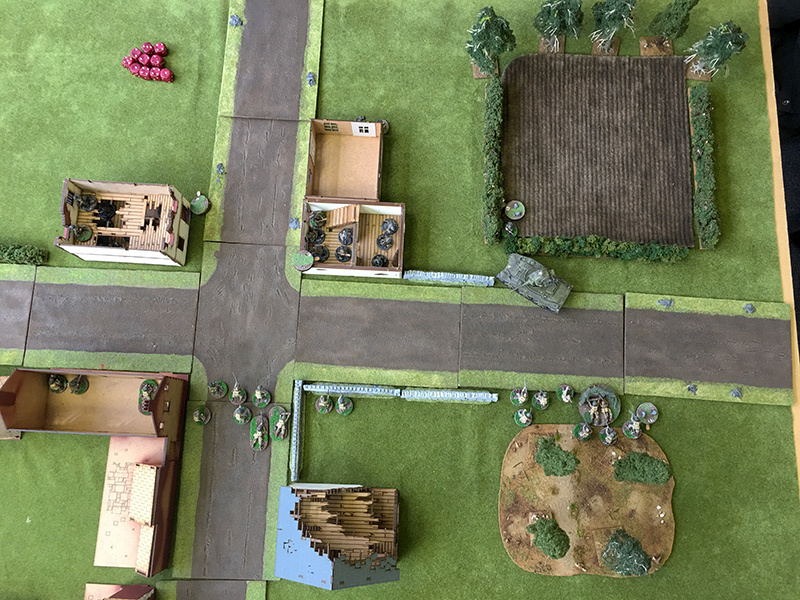 The American and Germans both managed to inflict casualties but as the moves went on it was the Germans who took the victory scoring 2 more dice than the Americans.